THE additional $50 million per year in freight assistance for Tasmanian exporters is being looked on as a game changer for business growth in Tasmania. Learning how your business can maximise the opportunities created by the increase in the Tasmanian Freight Equalisation Scheme (TFES) is the cornerstone of a freight forum in Launceston, on September 23. Facilitated by the Tasmanian Chamber of Commerce and Industry (TCCI), with business partner TasRail, the forum will help prepare business for the change in the TFES from January 1. The inclusion of exports and the $50 million additional funding increases the scheme’s payout to about $150 million a year. Introduced in 1976, the TFES recognises the disadvantage created by Bass Strait and provides Tasmanian industries an equal opportunity to compete with interstate markets. The federal government’s decision in March to expand the TFES and include overseas exports enables Tasmanian exporters to be price competitive with interstate businesses. TCCI CEO, Michael Bailey, said the additional funding would boost Tasmania’s economy and grow business. ‘‘Tasmanian business has been given the green light to look to new markets, which means increasing the volume of goods and services while retaining the quality of product grown and produced in Tasmania. 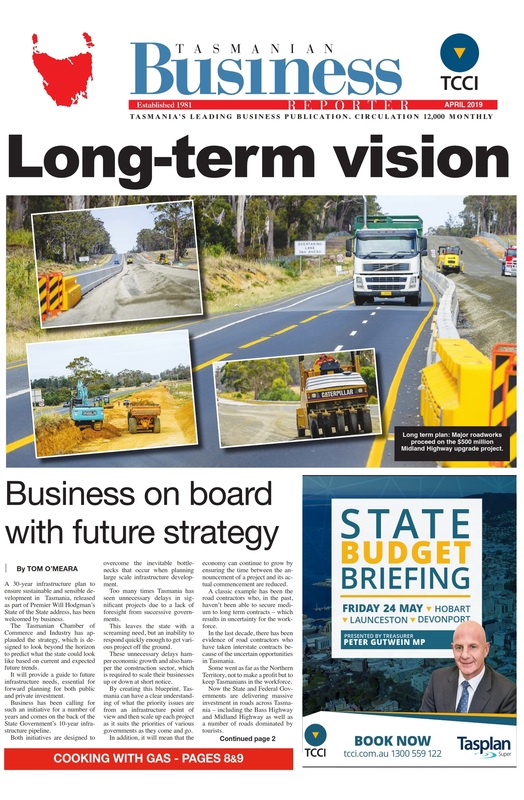 ‘‘This additional $50 million annually can become the funding driver for Tasmania, if we can help business understand and utilise the raft of other supportive government schemes available to grow business and jobs,’’ Mr Bailey said. 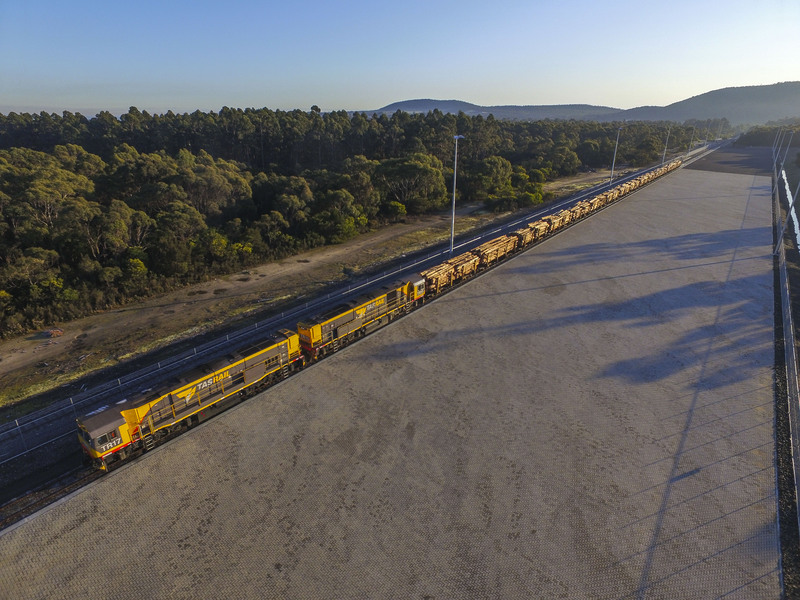 The CEO of TasRail, Damien White, said the TCCI freight forum was a great opportunity for business to find out about the opportunities offered by a changed TFES and should be seen as an opportunity to grow. ‘‘The new TasRail is a vastly different organisation with increased capacity and capability. We’re not just about moving freight from A to B, we can provide seamless logistics solutions. ‘‘We have a statewide connectivity to major ports and freight terminals. We think outside the square to develop innovative freight solutions for our customers and we can tailor a range of services to meet their freight needs,’’ Mr White said. Henty; TFGA director, Matt Ryan; and CEO Tasrail, Damien White. Audience questions will be facilitated by Michael Bailey. The forum runs from 10am until noon onWednesday, September 23. Bookings can be made on http://www.tcci.com.au. What about Tasmania’s share of shipbuilding jobs?